Alright, so you want to buy some Verge. First things first, a quick crash course on buying crypto in general. Buying Verge in Australia has become pretty easy since Coinspot came onto the crypto scene. It used to be the case that you had to buy either BTC or ETH, then transfer that to another exchange like Binance or Bittrex, and then trade them for Verge. To cash out, you’d have to do the whole process in reverse. With Coinspot you can buy Verge with AUD, no need to go through BTC or ETH, very handy! Many enthusiasts appreciate cryptocurrency because of the promise of anonymity in transactions and decentralization. But while many cryptocurrencies claim privacy, more and more ways are uncovered to find the users behind transactions. Verge, however, has found a way to change all of that. 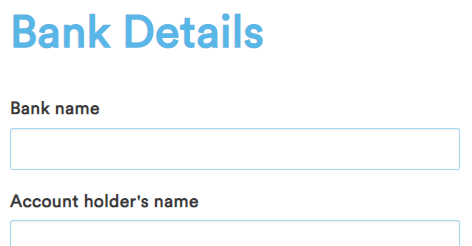 Rather than relying on traditional cryptography to provide a level of privacy, Verge is able to completely obfuscate IP addresses and secure its users’ identities. Verge is a cryptocurrency with a heightened emphasis on privacy and anonymity. Utilizing Tor and I2P architectures, rather than relying on cryptography like most blockchain-based currencies, it allows for transparent transactions while completely veiling its users’ IP addresses, protecting both their identities and locations. To date, it is the only cryptocurrency to take protecting privacy this far, and it is definitely a pioneer in the realm of true anonymity. Additionally, Verge has created a multi-algorithmic mining system that allows a wider variety of hardware to be used for mining and maintenance. This has opened up mining to a larger number of people. The currency does have a cap of 16.5 billion XVG. Verge was originally created as DogeCoinDark in 2014. 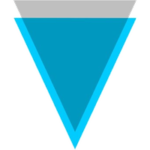 However, in 2016, it was rebranded as Verge Currency. Its currency symbol is XVG. One of its claims to fame, and what attracts many to it, is that it was not created by a centralized team or a coin-offering. It emerged from the combined efforts of literally thousands of interested community contributors. For many who value the concepts of decentralized cryptocurrencies, this is a major plus. Verge has actually seen a lot of growth in recent months, more than doubling in cost per token in December of 2017. This recent rise is largely due to the launch of the Wraith Protocol, which just occurred in January. Though it had a somewhat slow start, Verge has seen a doubling in value in recent months. It is gaining increased attention, and it is in the top 30 cryptocurrencies in the world. Especially as word gets out about its superior privacy features as well as its increasingly easy to use and practical applications, it is bound to rise higher still. Verge, then, has a great deal of potential, but because it is still in many ways in its infancy, caution should be used when investing. Its success is by no means promising.